Municipal elections took place in France at the end of March and ended with the defeat of the Socialists and the victory of the centre right. The elections’ frontrunner was the Union for a Popular Movement party (UMP), which received 49 percent of the people’s votes, while François Hollande’s Socialist Party took just 42 percent of the votes. Marine Le Pen’s National Front achieved its best result ever, winning more than a thousand local council seats. The elections took place against the backdrop of a fall in François Hollande’s rating. Many journalists believed that the elections would be followed by the resignations of the most unpopular cabinet ministers – Prime Minister Jean-Marc Ayrault, Foreign Affairs Minister Laurent Fabius, and Minister of the Interior Manuel Valls. Their expectations did not prove true, however. Laurent Fabius remained in his post, while the odious Manuel Valls became Prime Minister. As Marine Le Pen put it, Ayrault «played the role of the vicarious sacrifice»: the people have changed, but not the politics. 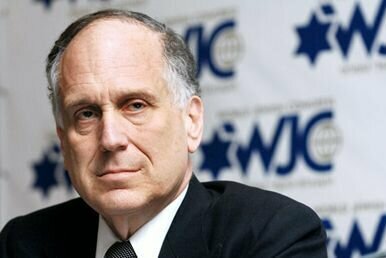 The head of government was replaced on 31 March as the World Jewish Congress (WJC), which calls itself the «diplomatic arm of the Jewish people», began in Paris. It is interesting that the mainstream media in France did not cover the Congress meeting. The Congress’ leadership, which includes the Frenchmen David René de Rothschild and Representative Council of French Jewish Institutions (CRIF). President Roger Cukierman, announced in its press release that it welcomes new Prime Minister Valls’ fight against anti-Semitism, and considers legitimate the measures they have adopted to restrict freedom of speech. François Hollande also drew high praise from the WJC, which the well-known mondialist Jacques Attali, who attended the Congress and is believed to be Holland’s advisor, found more than satisfying. Such unanimity once again confirms the closeness of the French president and France’s new prime minister to the international Zionist lobby. Manuel Valls is playing a particularly important role here. He has wide connections with organisations including not just the CRIF, the main lobbying structure of French Jewry, but also the American Jewish Committee (AJC), the Simon Wiesenthal Center, and the Zionist organisation European Leadership Network (ELNET), which was established in 2007 and lobbies for the interests of Israeli business circles in Europe. ELNET is playing an aggressive game of politics. They played a decisive role in France adopting a strong position with regard to Iran’s nuclear programme, for example. This was recounted in the December issue of the California Jewish community’s weekly newspaper The Jewish Journal by the chairman of ELNET and one of its founders, Chicago businessman Larry Hochberg – a prominent figure in the American pro-Israeli lobby AIPAC, and former chairman of the association Friends of the Israeli Defense Forces. He reported that his organisation had successfully influenced European politicians, and that the orientation of French policy towards Israel could be attributed to the closeness between ELNET-France and the Elysee Palace. 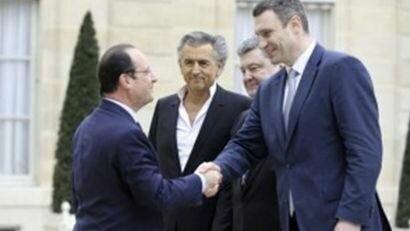 Every year, $1.5 million is handed over to chosen French politicians by way of ELNET. According to Hochberg, during elections in 2011 to choose the Socialist Party’s presidential candidate, a third of this was given to Hollande to help him beat Martine Aubry, who was disliked by Israel because of his pro-Palestine position. As a result, the French Zionist press has supported Hollande for many years. By way of confirmation of its influence, Hochberg noted that during the French president’s visit to Israel in November 2013, he was accompanied by the executive director of ELNET-France, Arié Bensemhoun. CRIF President Roger Cukierman is also a member of ELNET-France. 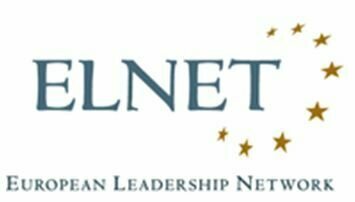 ELNET is intending to put forward its own candidates in the European Parliament elections in May. In November 2013, as part of the France-Israel Strategic Dialogue held in conjunction with the French Defence Ministry, ELNET-France organised a trip to Israel and the Palestinian territories for French deputies from the Europe Ecology-The Greens party; it also financed a trip for a number of journalists from leading French media outlets (Le Monde, Le Figaro, Marianne, Liberation, Le Point, Nouvel Observateur, L’Express, RFI, and BFM TV) and university lecturers. Manuel Valls, Former French Minister of the Interior and now Prime Minister of France, also relies on these organisations. Valls was born in 1962 to a catholic family in Barcelona. 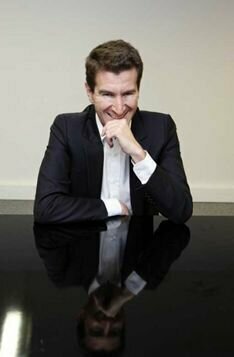 At the age of 18 he joined the French Socialist Party, having identified with its liberal wing. From 1989-2002, he was a member of the Grand Orient de France, and is currently a member of the closed paramasonic organisation Le Siècle, which brings together the most powerful members of the French ruling class. In 2008, Valls was invited to a meeting of the Bilderberg Group. Étienne Davignon, a member of the Steering Committee of the Bilderberg Group, said that two categories of people are invited to the group’s meetings: those in power and on whom a great many things depend, and those just starting their careers who are considered to be up-and-coming. Valls was invited as an ‘up-and-coming’ figure; in his case, it was decided that his presence at a meeting of the Bilderberg Club would help him «to open his eyes to certain issues». Today, Valls is focussing on the battle for the French presidency. He is a globalist in his views and far removed from orthodox French socialism. On economic issues he is a liberal, and on domestic policy he is a proponent of harsh methods of social control. As far as his views on foreign policy are concerned, then it is absolute support of the NATO military alliance, an orientation towards the Washington-Tel-Aviv axis, and «an absolute commitment to Israel». Despite the fact that the very position Valls had occupied until very recently (Minister of the Interior, which also includes the post of Minister of Worship) requires strict adherence to the principles of secularism, he only followed this principle in relations with Catholics and Muslims, while doing his best to demonstrate unconditional support of the Jewish community in France. As a result, he has strained relations with both Catholics and Muslims. His negative evaluations of demonstrations against «marriage for all», along with his clearly belated condemnation of Femen’s blasphemous actions in Catholic churches, have alienated traditionalists. On the other hand, however, he has incredibly warm relations with the country’s Jewish population. In June 2011, when he was mayor of Évry, he declared: «Through my wife, I will forever have links with both the Jewish community and Israel.» In March 2012, at the first meeting of the Jewish communities of France, Valls called Israel «the spiritual centre for Jews all over the world», and in April of that same year, while taking part in the first meeting of the Friends of Israel, he signed the ultra-Zionist document ‘The Charter of the Friends of Israel’. At that time, Valls welcomed «a symbiosis between the Republic and French Judaism», condemning anti-Zionism, which he likened to anti-Semitism and declared to be absolutely intolerable. At a Jewish New Year party in 2012, meanwhile, he announced that «France’s Jews can wear their kippah with pride» and that «the physical attachment of French Jews to their country obviously cannot prevent their unity with the land of Israel». This is a sharp contrast to the speeches he has given to Muslims, in which he points out the need to be attached to just one country and prohibits the wearing of the hijab, which contradicts the «principle of secularism». Valls has close connections with Ronald Lauder, the President of the World Jewish Congress and a member of the Presidium of the Russian Jewish Congress. This American billionaire, a former US Deputy Assistant Secretary of Defense for European and NATO policy during Reagan’s presidency, is one of the most outstanding incarnations of the Washington-Tel-Aviv axis, a sponsor of the Israeli intelligence agencies, and an ardent opponent of Palestine’s recognition at the UN. 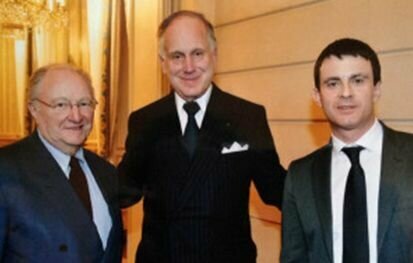 In February 2013, during a reception at the Elysee Palace for the members of a conference of American Jewish organisations at which Valls was also present, François Hollande awarded Ronald Lauder with the French Legion of Honour(. You will recall that belonging to the Order is the highest decoration in France, and an official recognition of specific and outstanding services to France. As De Gaulle said, «the Legion of Honour is a community of the living elite». Valls also attended a meeting with Israeli Foreign Affairs Minister Avigdor Lieberman, who visited Paris in February 2014 for talks on Iran with his French counterpart Fabius, as well as members of parliament and leaders of the French Jewish community. The mainstream media in France did not cover this meeting. «In both my daily duties and my personal life», says Valls, «no matter what I do, I try to do everything I can so that my modest stone will be included in the construction of Israel». His dependence on Zionist structures is not only down to his family connections. 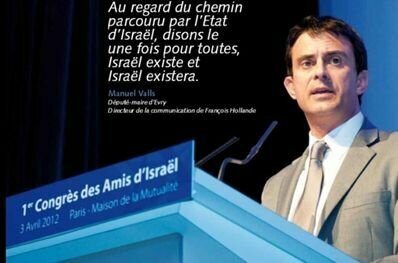 Since May 2011, Valls, along with several other French politicians, has been involved in the Project Interchange programme, an institute founded in 1982 by the American Jewish Committee to involve public figures and politicians from around the world in the formation of a positive image of Israel. To accomplish this, special educational seminars, meetings and trips are carried out. The AJC has been organising trips to Israel for more than 30 years, choosing influential figures from the world of politics, finance, culture, and journalism, helping them form close ties between themselves and subsequently carry out a coordinated policy. Each programme participant is given $5,000 by the AJC. Ironically, Valls started working on this programme on 14 May, the day that Dominique Strauss-Kahn, who had previously been the Socialists’ main candidate in the French presidential elections but had been outstripped by Nikolas Sarkozy, was arrested in New York. Valls’ strong ties with Zionism are also a result of his 30-year friendship with Stéphane Fouks and Alain Bauer. The former is a communications specialist and a CRIF board member, while the latter is a criminologist, minister of national security under Sarkozy, and a former grand master of the Grand Orient de France who is also close to CRIF and works closely with American and Israeli intelligence agencies. Valls’ appointment as prime minister was the response of France’s ruling circles to a challenge thrown down to them by French society, which virtually rejected Hollande’s agenda with its mutated socialism at the municipal elections. The only trace of socialism that Hollande’s party still has is its name, and it is no coincidence that Valls suggested that the word ‘socialism’ be removed completely, as it relates to the 19th century. Valls’ appointment as prime minister has completely exposed the social nature of the French Socialist Party. Valls is a Sarkozy of the left, a new incarnation of Clemenceau, who the French remember as «the person shot by the working class». The first thing that the new prime minister did, meanwhile, was hold a meeting with Matthieu Pigasse, the CEO of Lazard France, to «talk about the future» of France. Pigasse is believed to be the boss of the French press, is a former assistant to Strauss-Kahn, was close to Fabius when he was prime minister and, ultimately, is simply a big banker. His bank, which became a leader in the mergers and acquisitions market in 2012, played an important role in the restructuring of Greece’s debt. The results of Valls’ work in the post of Minister of the Interior speak for themselves: from 2012-2013 there was a 2.9 percent increase in physical violence, a 10.4 percent increase in sexual violence, a 3.5 percent increase in attacks on property, a 9.3 percent increase in robberies, a 10.3 percent increase in revenge killings, a 14.5 percent increase in counterfeiting, an 8.4 percent increase in armed robberies, a 10.2 percent increase in drug trafficking, and a 33.7 percent increase in bomb attacks. However, the more united the actions of the global elite, the more deliberately the people will begin to oppose them, choosing those around them whom they trust and who are able to speak in a language the people will understand. For their part, many professional politicians in the West, who are aware of the catastrophic nature of the global social experiment currently being carried out, are now making a long-awaited turnaround from abstract ideological formulae to an expression of real people’s interests. It is exactly these political forces that Europe needs to be guided by. - the refusal, under the dictate of Washington, to recognise the results of the referendum in Crimea, leading to the deterioration of relations between France and Russia for many years to come» (16.